Savvy Aunties know that the end of the year and beginning of a New Year is one of the most stressful and busy times of year. I read recently that the average American eats out four times a week, and that we spend 40% of our food dollars on food eaten away from the home. This amount increases from December to January. Most of us do not plan to eat out so often, but there’s a delay a work, an appointment takes longer or the subway is running slowly. We are tired and hungry; there is no time to cook, so we end up calling for take-out or running next door for a quick restaurant meal. I know that taking your lunch to work is boring and cooking at home can be the last thing you want to do after a long day especially if you had a Holiday party the night before. However, this type of attitude can take a toll on any Savvy Auntie’s budget. Just how much impact can you make on your future by following these money-saving tips? Saving just $25 a week for 40 years, with a 5 percent annual yield, will give you more than $165,000; at 7 percent, you'd have $286,640. Oh, and double the weekly amount to $50, find a 9 percent return, and you will have tucked away $1,026,853 at the end of 40 years. That's right! You could become a millionaire on just $50 a week. Think of that the next time you line up for your Starbucks mocha and those after work drinks at your local pub. The following are a few easy ways to save money so you can still get your dining out fix and enjoy you favorite restaurants. Believe it or not, many nice restaurants have coupons available. They can save as much as 50% if you find a “buy one, get one free” coupon. Look in your city’s local newspaper as well as in special mailers sent to your home. You can also visit coupon sites such as www.valpak.com and www.hotcoupons.com. Gift certificates that help you save. 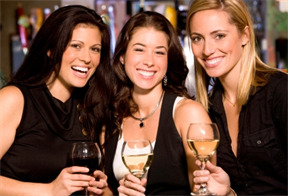 You can buy deeply discounted restaurant gift certificates at www.restaurant.com. Enter your zip code to find participating restaurants in your area. You can pay $10 for a $25 certificate online, and you can print the certificate immediately. You will save even more by using a coupon code found on a coupon code website (like couponmom.com), paying only $5 for a certificate. The selection of restaurants varies from casual to upscale choices. If you have favorite restaurants that are national chains, you can visit their websites and sign up for their email newsletters in order to receive coupons, special offers, and even freebies on your birthday. Invest in a copy of The Entertainment Book to save at casual, family, and upscale restaurants all year long. The book begins selling in August at its full price of $30 to $40, but the price goes down over the course of the year, to its low of $10 per book in the late spring. Some restaurant coupons can save you as much as $20 at one meal, so it can be well worth buying one book, or even more than one book, when they are at their lowest price. Follow these tips in order to enjoy dining out while saving money! Have any other great tips to eating out on a budget? I’d love to hear them! If you buy your The Entertainment Book from your niece or nephew as part of their school fundraiser, you get an extra "cool" auntie bonus point. TGIFriday's has had particularly good email coupons recently for members of their points program.... and they happen to be directly across the street from the office.